The Rare Book Collection contains books that are rare, valuable, or otherwise in need of special handling or protection. 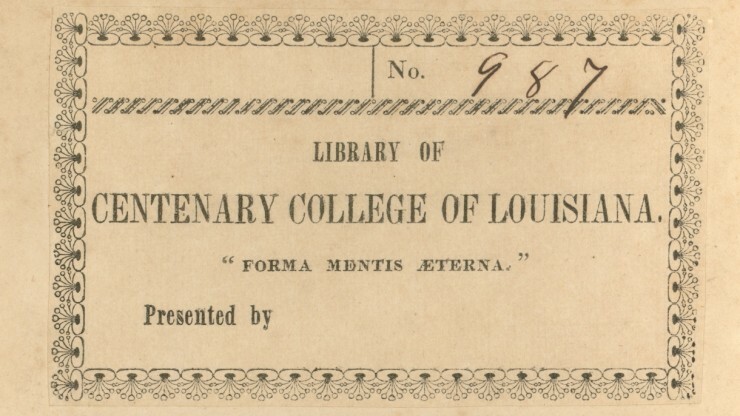 Some volumes originally belonged to the general library collection of Centenary’s predecessor institution, the College of Louisiana. The Rare Book Collection has been cataloged in Centenary’s Magale Library online catalog.